Eximus in Warframe are elite versions of enemies. You will need to kill these Eximus enemies if you are planning to open up the Rails and travel to new places like Venus. To unlock rails for Venus you must kill 3 Eximus enemies. These elite enemies appear in any mission type so it’s very hard to find their spawn location. 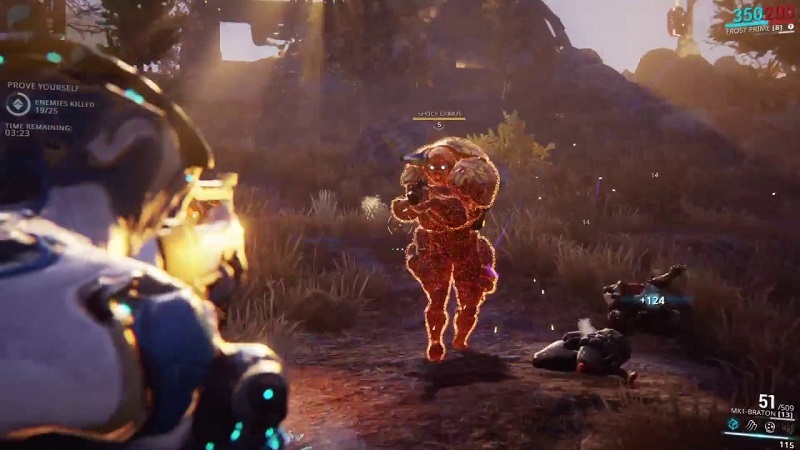 This Warframe guide will help you find Eximus enemies on earth early in the game. What are Eximus enemies on earth Warframe? Eximus enemies spawn at a higher level and use various forms of attack like frosting, explosive blasts, fire, and other depending on the type. It will be little Challenging for a new Tenno to survive if you won’t be able to cast abilities. The best way to survive is to take them down quickly before they heat up their abilities. Completing Defense of Excavation missions and Endless missions are the best way farm Eximus in Warframe. These are the easy mission where you need to defend the marked objective and thus you need the best squad who will help you survive the enemy wave. Focus on damaging the Eximus and getting more kill credit before finishing the job. Once you begin the mission, look to enemies who are red/orange glow, those are your targets compared to standard enemy types. These enemies won’t spawn in first few waves so keep eye on your target. Continue farming Eximus on earth and kill them to progress your exploration in Warframe. Check our other Warframe guides for tips, tricks, and cheats.